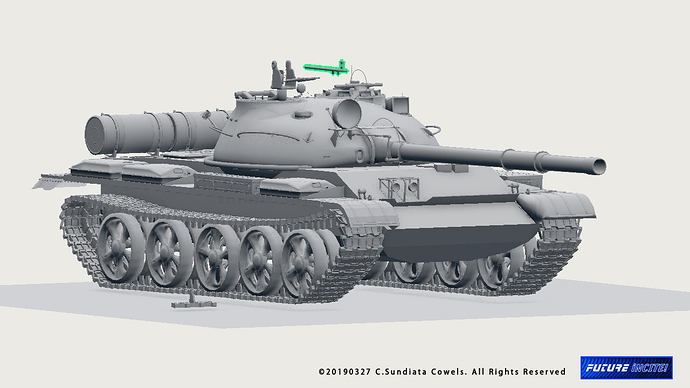 Created mantle, added fuel tank supports, hinges for searchlight platform, turret rear light assembly, search light power cable, DshK machine gun elevation plate, elevation spring rods and barrel. 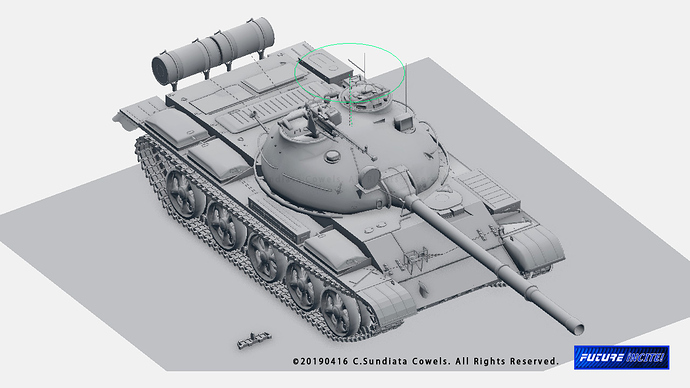 I did a quick render of the T-62 within the scene (not shown here) to see how much more I need to do. I will leave out detail on the rear since that won’t be seen (and I can save it for another day) but otherwise once the machine gun is finished, then it’s back to the guide wheels, tread and the finally I can start texturing. Lack of updates does not mean lack of progress. Six day work weeks doing my day job has brought this project down to a crawl but I am still moving forward. I finished the front guide wheel form, Dshk machine gun and ammo box, glacis plate armor, basic rigging with empties and a few other details. The tread still needs to be reshaped (too wide for this model and the basic form is inaccurate). 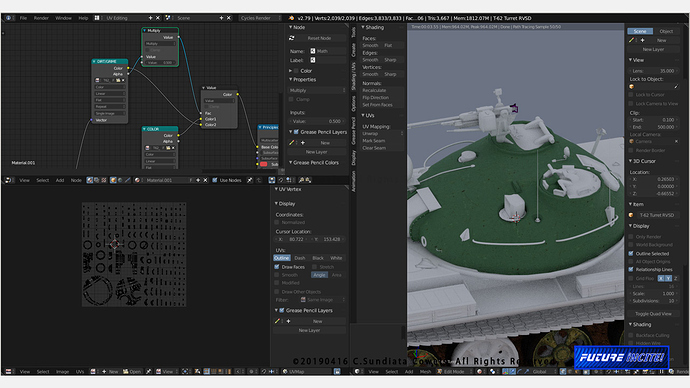 I have started texturing the turret in the few moments I had tonight to actually work on this.